that I can get off to a correct start at archery. The section of this page dealing with eye dominance was particularly appropriate to me. I am right handed but left eye dominant. 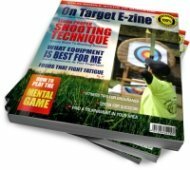 I plan to learn to shoot instinctively as opposed to aiming. 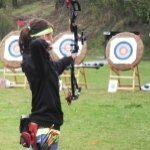 If I purchase a left handed bow (it feels more comfortable to me) will it make a difference affecting target acquisition? Dennis, its great to hear your would like to shoot instinctively. Please see my response for retraining non-dominant arm and eye here. Join in and write your own page! It's easy to do. How? Simply click here to return to S1-3 Right or Left.